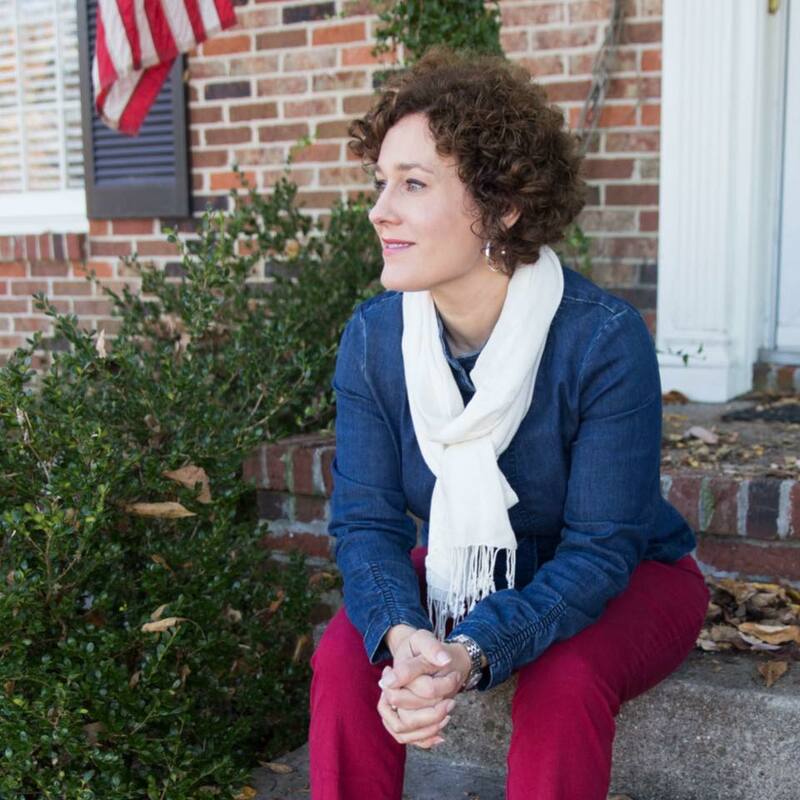 Mary Scott Hunter has been an incredible influence in the state of Alabama, raised on the Alabama Gulf Coast, she attended Fairhope High School, obtained her bachelors degree from the University of Alabama, and proceeded to the university’s school of law. She received her Master’s in Business Administration in 2017 from the university as well. After graduating from law school in 1998, she was commissioned as a Lieutenant in the United Sates Air Force, where she served as an Air Force Judge Advocate General for ten years. After her active duty service, Hunter served in the Reserves, and the Alabama Air National Guard, rising to the rank of Major. 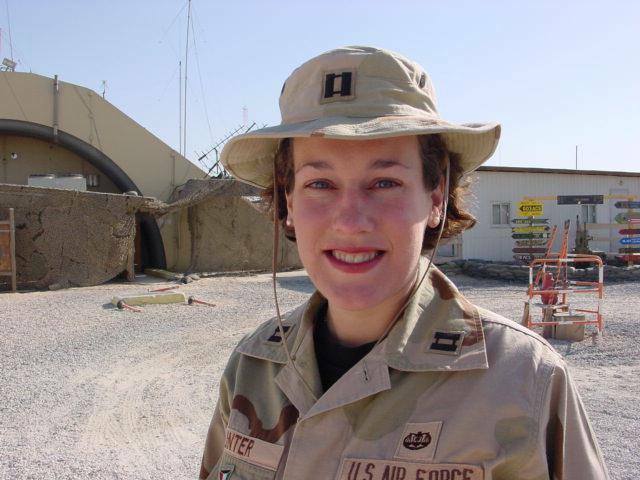 She was deployed to Ali Al Salem Air Base, Kuwait in 2001, and experienced two overseas tours in Korea and Germany. She has been awarded several military honors; the Meritorious Service Medal, Air Force Commendation Medal with two oak leaf clusters, National Defense Service Medal, Armed Forces Expeditionary Medal, Overseas Short Tour Ribbon, and a Small Arms Expert Marksmanship Ribbon. Hunter strongly believes that a good education can make a real difference in the lives of those who seek it, and currently serves on many education centered boards throughout the state. Including: the Alabama Community College System Board of Trustees, Board of Directors of the Alabama Association of School Boards, National Association of School Boards, US Space and Rocket Center Education Committee, Association for Corporate Counsel – Alabama Chapter Board of Directors, and has previously served The Boys and Girls Clubs of North Alabama and Athens State University Board of Trustees. Stephanie Bell, Bettie Peters, Yvette Richardson, Ella Bell and Gov. Kay Ivey, Tracy Roberts, Cynthia McCarty, and Jackie Zeigler as well. Each of them is very strong in their own way and have specific areas of focus and expertise. I’ve learned so much from them,” said Hunter. In 2016 Hunter was named among Alabama Media Group’s “Women Who Shape the State” as a woman who has helped change Alabama for the better. She has also been awarded for her leadership, her community service activities, and her economic development efforts. Hunter is also a small business owner. She and her husband Jon own a small technology company, Torel Technology, LLC, and she joined the Intuitive Research and Technology Corporation in 2012. There she leads the company’s business interests in Compliance, Ethics, and Risk. Southern women are called “Steel Magnolias,” and it’s such a great description. I’ve been influenced by many, my mother, my Aunt Sally and Aunt Sandy, Sunday school teachers, school teachers, my mother’s friends. These women taught me more lessons than I can count, but one that I carry forward into my talks with young professional women is to carry yourself with class and confidence. Stand up straight with shoulders back. Dress appropriately. Use proper grammar and diction. Be punctual because it is respectful of others. These are some of the things that go into carrying yourself with class and confidence, and it works in every situation. I must also say a word about my mother, Deborah Hunter. Like many Southern women born in the late 40s, career options were limited. Mom had two careers, one in retail and one as a realtor. When she worked at Gayfers Department Store, I thought it was the most glamorous job, and she was the most beautiful of all mothers. Later, as a realtor, I saw how she translated her love of hearth and home into sales and taking good care of her customers. Lots of lessons there, one particular lesson I learned from her when I was 15. She was kidnapped, and she evaded her kidnapper by jumping out of a moving car, running across four lanes of traffic and flagging down on oncoming car. After a poor response from law enforcement, she went to work to get a new sheriff elected in our county which she was successful doing. There’s a lot of steel in that Magnolia! What shaped your desire to serve our country through the armed forces? I joined the Air Force after law school. It was a calling. Like any calling, you get the idea in your head, and you just can’t put it down. I’ve always been most fulfilled when I’m fighting for a cause. The Air Force was the right choice. As an Air Force JAG [Judge Advocate General] I could jump right into the courtroom and try cases immediately. Most of my lawyer friends who went to firms were still carrying the files for older lawyers. To this day, I can prosecute a bar fight or DUI in my sleep! What advice would you give young women considering careers in the military or politics? Look, these opportunities are generally open to people who have something to offer and a desire to serve. But remember it’s both – it’s what you offer and your desire to serve others. The desire to serve is straightforward, you either have it or you don’t. Regarding what you offer, I would tell young women or really anyone to prepare yourself. Be intentional about preparation. Get a solid education. A diploma is a powerful thing for the doors it opens and for the knowledge it represents. Be as healthy as you can because it slows you down when you aren’t well. If you have children, set up support systems and backup plans so you aren’t scrambling at home all the time. After you’ve done what you can do to be prepared and know that you want to serve, don’t overthink it. Go for it. You will be glad you did. You are very involved with education around the state, and you yourself have multiple degrees from a public universities, what piqued your interest in public education? I had some great teachers, they took their job seriously, and they were towers! They encouraged me to think and write. Creativity and writing skills have served me well throughout college, law school and most recently with my MBA and have been have cornerstones of my career. I had a great public school experience that prepared me for college and career, and I wanted it for my own kids, my community and my state. In my law practice after I left the military, I also saw first-hand what working Alabamians face when they get injured and have no education and no skills. The options are terribly limited. So, back to callings! The State Board was an open seat in 2010, and it was a position I felt called to run for because I thought I had something good to offer and wanted to serve. Have you read any books that have shaped your perspective on life? I’m a reader, but I confess I almost never read self-help type books. I have people who will tell me that I must read this or that business book, this or that book on organizing my life, health, you know the sort. But I love great fiction, history and biographies, and for me, it’s better to learn about leadership, economics, politics, or just whatever by reading stories. I mean is there really any better teachers than Twain, Faulkner, Steinbeck, and Harper Lee? For modern fiction, Winston Groom’s Forest Gump is a must. If you are a history buff, you must read Michael Shaara’s Killer Angels. Lawyers really need to read every John Grisham book ever written, especially A Time to Kill. Southern fiction at its best is Fannie Flagg’s Fried Green Tomatoes and John Berendt’s Midnight in the Garden of Good and Evil. Every Alabama politician should read three books: Diane McWhorter’s Carry Me Home, Wayne Flynt’s Alabama in the Twentieth Century, Eddie Curran’s The Governor of Goat Hill. I’m on a science fictiony-post utopian kick right now and reading the 4th book in the Red Rising Series. The space battles are amazing! What has been your favorite area of service, and what is your favorite thing about that position? Well the Military was exciting. I was deployed to Ali Al Salem Air Base in the Kuwaiti desert between Baghdad and Kuwait City in August 2001. So, things got pretty interesting pretty fast after September 11. Those months of buildup at the beginning of the Global War on Terror are a vivid time for me and definitely shaped me. The danger was very real and very near. While I never faced the dangers my husband, an Air Force fighter pilot, and many of our friends did in close combat, it was scary enough. Saddam wanted to re-invade Kuwait and take the oil fields. The weeks after 9/11 were his best chance to do that. To this day, I’m not sure why Saddam did not invade in September 2001. For about a week after 9/11, we all knew we were in trouble on our small base if the invasion materialized. I made up my mind to fight for myself and other and try to survive even if I was captured. It came down to that. So, it’s not exactly a happy memory or really a “favorite” memory, but that situation taught me to that if you are facing a hard situation, even an impossible situation, decide how you will think and behave. Then be resolved in your decision. I’ve certainly enjoyed my service on the Alabama State Board, and it’s been deeply rewarding. But, my favorite service has to be the one so many of us do, serving my family. The greatest joy and reward Jon and I will ever have is raising three great kids into three great adults. Through her service to our country as an officer in the Air Force, and her influence in the state’s education system – Mary Scott Hunter is undoubtedly a woman of influence. This article does not constitute as an endorsement. Alabama Today does not endorse individual candidates.